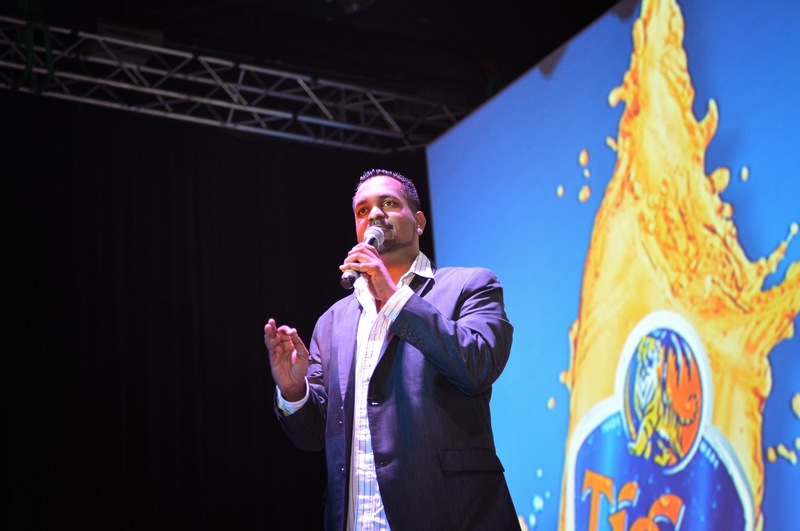 This year's Heineken Thirst has the largest talent roll call of them all. It includes David Guetta, Afrojack, W&W, Madeon, Nervo, Example, R3hab, Goldfish & Blink, XU, Bunga and Bate. 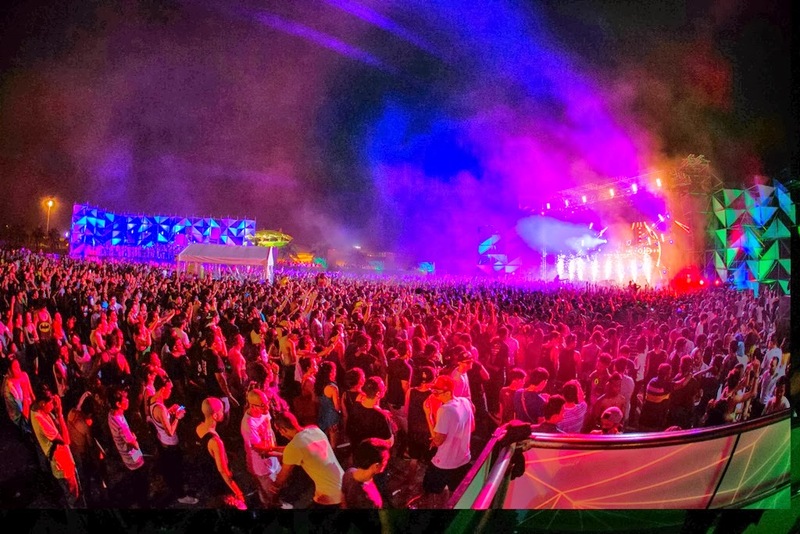 With a whopping 20,000 elated music fans that head over to Heineken Thirst at Sepang International Circuit on December 14, the crowd quenched their thirst of dance music over the two massive stage, the Green Stage and the Star Arena. The stage established an origami design concept where that same concept also defined the architectural innovation of the Green Stage’s VIP area. 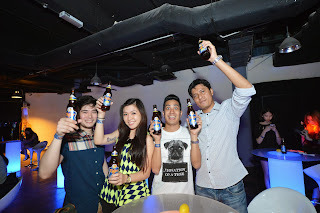 Thirst 2013 also saw the limited edition Heineken Club Bottle launched for VIP and Heinesuite guests at Heineken Thirst before a wider release in some of Heineken’s flagship outlets across Malaysia. The aluminium bottle features a variation of Moore’s signature vector-funk graphics and is inspired by the innovative origami design ethos Heineken showcased during Milan Design Week, which is reflected throughout the Heineken Thirst festival site. The edgy Heineken Club Bottle and its design philosophy also provided the inspiration for the ultimate in festival luxury. With pole position to watch Heineken Thirst’s Green Stage, the six luxurious Heinesuites were the ‘place to be seen’. 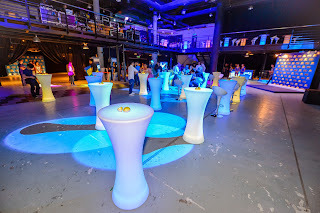 With individual bars, elegant serving staff and space to dance and talk at the very heart of the night’s excitement, the Heinesuites are set to become a new benchmark for festival entertainment in Malaysia. On the subject of moments, this year the festival featured a brand new spectacle. In-between Nervo and Afrojack, Heineken Thirst unveiled a new star attraction – the Thirst Green Moment. 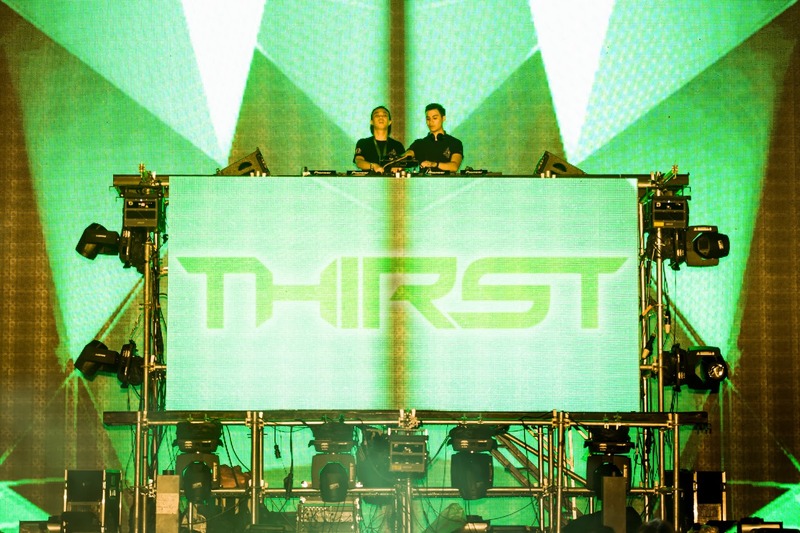 From the booming intro that stunned the Green Stage crowd into silence, to the multi-level visuals and choreographed lasers and pyrotechnics set to a specially commissioned music track, the Thirst Green Moment wowed an astonished audience and introduced a new sensory experience to Malaysian festivals. There were numerous other highlights of this Heineken Thirst. The sea of hands and phones during Goldfish & Blink’s rousing set. The rush to the Star Arena for Holland’s W&W. The raw energy of the ever-prowling Example. The style of Nervo. The abrasive power of Afrojack. 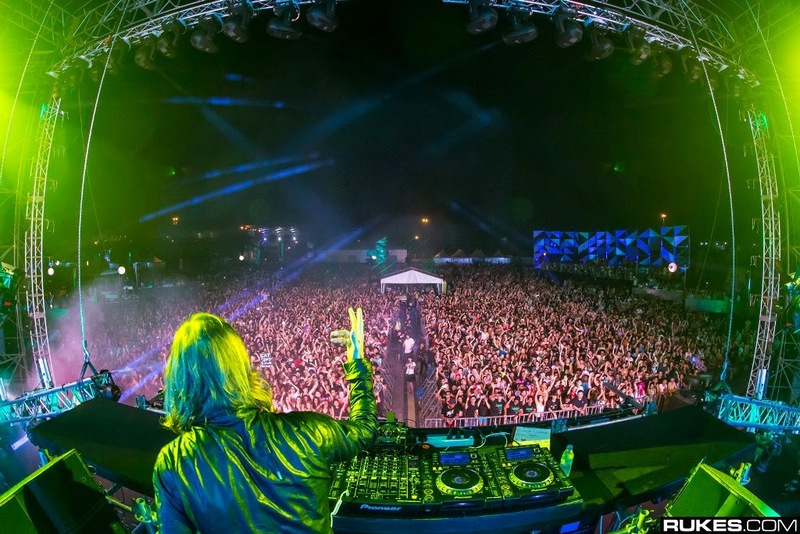 The interplay between the DJs and EDM celebrity snapper Rukes. Then, the sheer, polished perfection of David Guetta, a man who can comfortably command crowds of every size anywhere in the world. 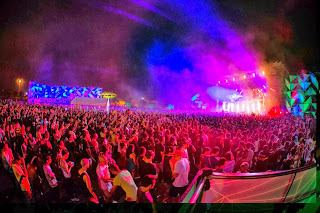 Most of all, there were the thousands of unifying, unique and individual experiences of the people who come to Heineken Thirst, who help to define it and separate it from other music festivals. Hey yo, how's everybody's Christmas celebration? As for me, I slept the whole of Christmas away. LOL. These cupcakes are made from scratch and contains no preservatives whatsoever. The fondant on top and the icing below is home made and currently for the base flavoring, there are vanilla butter, chocolate and red velvet for the cupcakes. Those that you see in this blog are all in small size. Santa says "Hi! ", I think. I don't know what's the Santa doing but he certainly wasn't edible. I don't fancy eating a bearded fat man, anyway. LOL. Prices vary depending on the size of the cupcake required, the quantity ordered and the type of design (if specified). To Sing Pong (played by Gordon Lam) was freshly released from prison and in the past had made a promise to his girlfriend, Yin Bing (played by Yao Chen), to leave his criminal ways behind and start afresh with a clean slate together with his girlfriend. He initially looks as if he's heading towards the triads car and accepting their offer but closed the car door and headed towards his girlfriend. 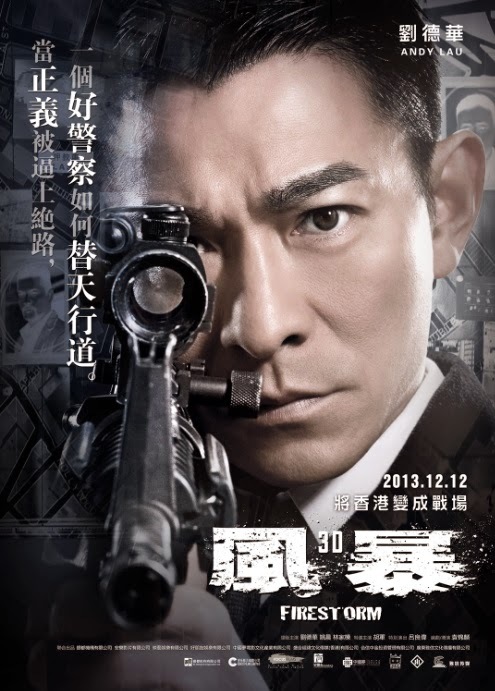 Inspector Lui (played by Andy Lau) is a very dedicated police officer and will stop at nothing even if it risks his life in order to capture those responsible for their heinous crimes. Inspector Lui led his team to an operation following a tip off that an armored security car will be hijacked for the money inside. On their way to the crime scene, the heist was already taking place with the confident hijackers doing it without mercy and with heavy weaponry. The police team had a shootout with the criminals but seemed to be at the losing end. That's where Inspector Lui came in and gave the upper hand back to the cops. The criminals were desperate and decided to take a person hostage and mentions that they'll shoot her should the police not back down and allow them to escape. Inspector Lui came to the scene taken the criminal holding a hostage by surprise and that gave an opportunity for one of the policeman to react and shoot the criminal freeing the hostage. But unbeknownst to the police team, out of nowhere, To Sing Pong rammed his car at Inspector Lui giving back the upper hand to the criminals where the criminal shot the hostage dead. In turn, the criminals fled the scene where the police were unable to give chase. The story then unfolded with To Sing Pong being held custody to find out whether he's working for the criminals. It turns out, him and the Inspector were both classmates in school where To Sing Pong always bested him. Unable to find any evidence connecting him as an accomplice, they let him go. Inspector Lui was very certain that the man behind the daring crimes were gang overlord Cho Nam (played by Hu Jun) and worked his team hard in order to gather evidence enough to convict him. Next, the police received another tip off of an arms deal or something in some flat. This time, To Sing Pong was one of the person working closely keeping watch. The police tried their best to keep their operation covert but in the end were discovered. This leads to a lot of action and later on having To Sing Pong in a mask dishing it out against Inspector Lui. In the end, To Sing Pong managed to get away but Inspector Lui has already suspected that is him. The movie took on a surprising twist later on and had a queer ending. This is a show that's a cross between Jackie Chan's Police Story and Infernal Affairs but unlike Jackie Chan, Andy Lau is no martial arts fighter so don't expect fast pace fighting and good choreograph fights but do expect quite a number of actions. Also, unlike Infernal Affairs, the drama that unfolds isn't as spectacular and immerse the audience in the scenarios but do expect it to hold it's own dramatic moments in the movie. No doubt it may seem crazy on how the hero and villain manage to survive all odds but this keeps the action and story alive. Else, it would need to have a very different approach to it. LOL. It's quite an entertaining watch. Love the action, love the drama. Nuff said. I give it 3.5 stars out of 5. While most were still preparing for Christmas or New Year, Tiger Beer has already forged forward with it's campaign on Chinese New Year! 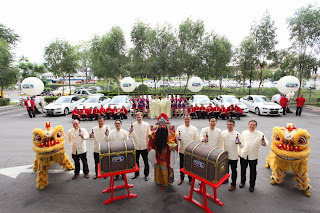 A media launch at the Quill 9, Petaling Jaya unveils of it's 'Celebration of Abundance' Chinese New Year 2014 campaign where majestic entourage of auspicious Chinese characters including the God of Prosperity, Heavenly Angels and lion dancers uplifts the atmosphere. An assortment of beers produced by GAB (Guinness Anchor Berhad) were available for consumption that day including the all-new Tiger Radler that was just launched not too long ago. 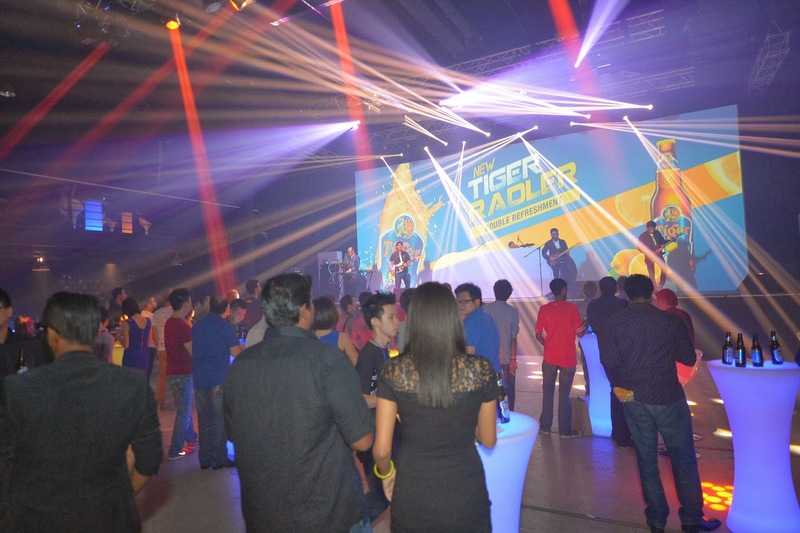 They also revealed an abundance of treasure that can be won when the Tiger Beer's on-ground road show crew nationwide drop by at selected coffee shops, food courts and restaurants throughout Peninsula Malaysia. They include GAB premiums, products and cash prizes of RM888. 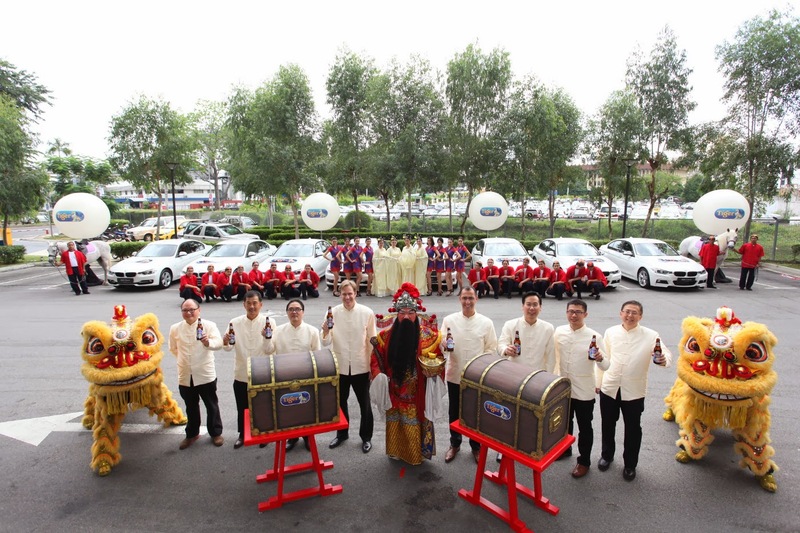 The Grand Prize surprisingly consists of 8 all-new BMWs 3-series awaiting it's lucky consumers when they raise their glasses and cheer "Yum Seng" with Tiger, Guinness, Heineken, Anchor and the Tiger Radler from December 16 onwards at participating coffee shops, food courts and restaurants. No wonder the event was held at Quill 9. It all make sense now. This Chinese New Year, be sure to think of GAB’s award-winning range of iconic brews as you can look forward to ‘A Celebration of Abundance’ for you, your family and friends. For more information on this campaign, please visit www.gab.com.my today. Weekends are the days that are great for brunches where corporate workers (especially those who are single like me) tend to wake up later than the normal working weekdays to rejuvenate their energies and give their bodies a well needed rest from the tiring work life. On one of the lazy Sunday afternoons, I ecstatically head on down to Signature at The Roof in 1 Avenue, Bandar Utama where they were hosting for the Somersby Brunch Club. But this is not going to be a normal Sunday brunch, ooooh no. You'll find out later on. I arrived very early and was the second person to have arrived. LOL. Since it is my first time in here, I walked around and checked out the place. And the other side is very bright with rays of sunshine streaming in from almost a 270 degrees angle. That day was having the sun on occasion hiding among the clouds but come 1.30pm onwards, the sun was in it's full glory streaming in. Thank god for tinted glass. LOL. That side also contains loads of mirror walls. And is a very spacious place. There's also an outdoor balcony where smokers like to congregate which has a nice view of the surrounding neighborhood. Before brunch was served, there's a game to try out where you're required to stack 5 apples where if successful, you'll be presented with a dining voucher. Pretty soon, lunch was served and feeling adventurous, I decided to go for the Niçoise Beef Tartare because I've never had raw beef before and decided to see how it taste like. The beef was nicely chopped and seasoned to perfection while the other ingredients on top of it like quail's egg, alfalfa, olive, bread all provided more of a crunch than a taste to the beef tartar but was delectable. The dabs of sauces which I think it's olive oil and some tartar sauce and vinaigrette. It provided some acidity to the dish but I still prefer to eat the beef tartar without the sauce. Loved the poached eggs, lightly seasoned which let's the egg flavor shine through. Dipping the beef tartar with the egg yolk provided an nice unique taste to it! As mentioned earlier, this is no ordinary brunch session because......it's a one of a kind kitchen musical! Eugene Lim, Brand Manager of Somersby Apple Cider commented,"The concept of brunch club is to create a new drinking occasion, an ideal platform for consumers to try and enjoy the refreshing taste of cider while having their meal in a relaxing ambiance during brunch. We've learned more about our consumers and their likings for cider through our interactions with them by offering them a unique cider and food pairing. Since its introduction in July last year, we are pleased that Somersby Apple Cider has performed above expectations and now becoming the country's fastest selling cider." In addition, coinciding with the coming Christmas festivity, Somersby Apple Cider will call for its lovers and supporters to buy a book for charity and exchange it for a bottle of Somersby Apple Cider at Pavilion KL, Level 3 Fashion Avenue from 13th to 26th December 2013. Just before heading to this dessert outlet that serves 100% natural and genuine ingredients without artificial flavoring and preservatives, I was having a thought of taking my lunch at one of the many eateries that are available at The Gardens/Mid Valley Megamall. But to my dismay when I arrived, most outlets that I wanted to eat in were packed to the brim and had a line of people waiting to be seated. So I decided to just skip it and dive straight to the Gelatos and Sorbets and have it as my lunch instead! Yeah, I know it sounds crazy but this is one those crazy things that I felt like doing at that moment. Did I succeed? How many did I gobbled down? Did I get a stomachache later that day or a day later? Find out later! We were given the freedom to pick and choose any flavors that are available when we were there and eat to our hearts content. Many of the flavors are common with 2 that are unique to me. The unique flavors are a mixture of 2 flavors together. By the way, those that are fruit flavor are Sorbets while the rest are Gelatos. The Gianduia is a mixture flavor of Hazelnut and Chocolate. By the way, all of the ice creams can add on dipping like chocolate sauce and such and toppings to be coated like Hazelnuts, Almonds and Pistachios. The Gianduia flavor consists mainly of chocolate taste with the toppings adding additional crunch and nutty taste to it. Again the chocolate sauce coated with nuts provided the crunch and nutty taste to it but since vanilla was a milder flavor comparing to chocolate, it wasn't as overpowering over the nuts as the chocolate taste in Gianduia. Nice and refreshing. The sweetness is just right and not too sweet like how a lot of dessert places make their ice cream too sweet. Easy to bite through and doesn't flake apart, soft yet solid enough to hold. Hazelnut has quite a chocolatey taste to it and I regretted adding on the topping as it puts more emphasis of the chocolate taste. But nonetheless, the base was creamy and provides a pleasant bite to it. No surprises there that this weren't up to my expectation like most Green Tea Flavored ice creams since the Green Tea powder seems to be too apparent and feels grainy unlike other flavors which are creamy and smooth and goes down well with my palate. The coffee has enough flavor in it to keep me satisfied but of course can't replace a good ol' cup of coffee. LOL. It had a nice shade of red to it but tasted sweeter than expected. Bearable, so it's okay. All the ice cream tasted dense to me and I later found out why. Most ice cream makers whip their ingredients and add air increasing the volume of it then later compensate the ingredients' original and natural lost flavors by adding artificial flavorings. However, Stickhouse gelatos are produced without adding air in them. Their base ice cream are also healthy consisting of Inulin, Fructose, Carob Bean Flour, Sodium Caseinate and Egg White. Opened every day since it's in a Shopping Mall. 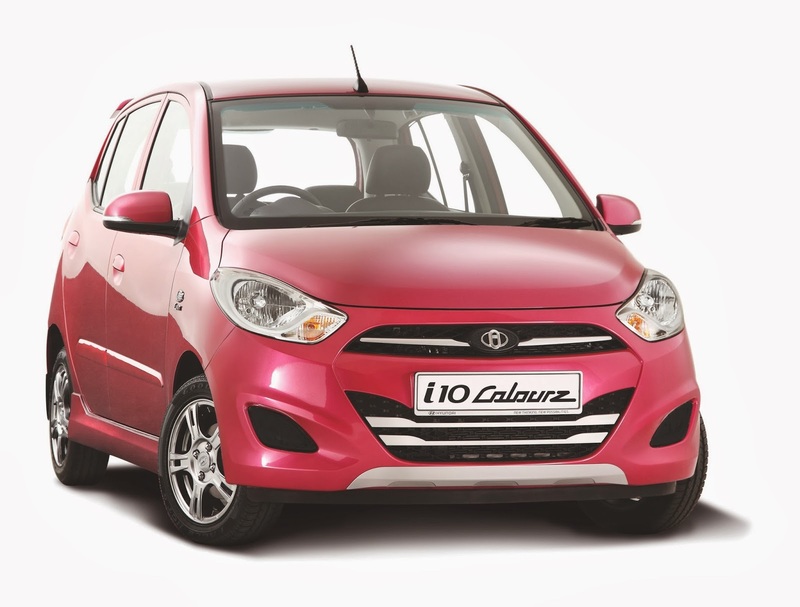 The Grand Prize of an i10 1.1L Colourz worth RM52, 888 and five Samsung Galaxy Tab 3 worth RM5,000 are up for grabs with the ‘Hyundai Mission Impossible Facebook Contest’ which will run from 5th December 2013 to 26th January 2014. The Hyundai Mission Impossible Facebook Contest is organised in conjunction with the screening of the movie ‘Ah Beng Mission Impossible’, a Chinese New Year production by Jack Lim, in cinemas nationwide from 23rd of January 2014. Hyundai-Sime Darby Motors (HSDM) is the main presenter of this movie. This contest will test participants on their knowledge of the Hyundai car models as well as test their creativity in photography. Participants will be given one mission to accomplish, which includes solving a clue and completing a task. The clue will lead them to a Hyundai model, which they will then pose with for a photograph according to the theme given. A total of three missions will be announced via Hyundai Malaysia’s Facebook page throughout the contest period. Participants can participate in one mission or more but are encouraged to participate in as many missions as possible to increase their winning opportunity. 30 finalists will be shortlisted for the three missions based on the highest votes (10 finalists to be shortlisted for each mission). Grand Prize and Runner-up winners will then be selected by a panel of judges made up by the casts and crew members of ‘Ah Beng Mission Impossible’. This contest is open to the public. Apart from standing a chance to win fabulous prizes, participants will also be invited to test drive any of the Hyundai models for a chance to win 15 limited edition Elantra watches in a lucky draw. The ‘Ah Beng Mission Impossible’ movie would be the second movie sponsored by HSDM with ‘Once Upon A Time’ being the first this year. “We are happy to be selected as the main movie presenter for ‘Ah Beng Mission Impossible’ as this gives us the opportunity to increase Hyundai’s brand visibility and awareness. To drum up the excitement for this movie, we are organising the Hyundai Mission Impossible Facebook Contest to give everyone an opportunity to be part of this exciting event,” said Mr Lau Yit Mun, Managing Director of HSDM. 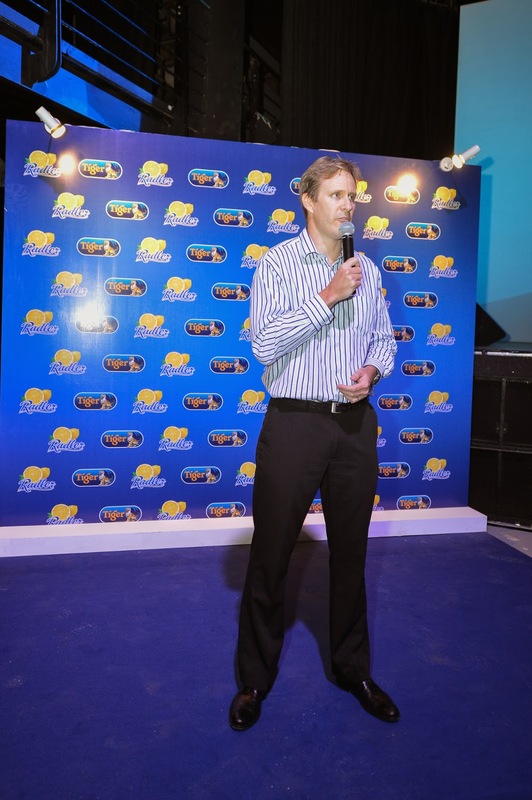 Casts from ‘Ah Beng Mission Impossible’ and MY FM announcers will also be making appearances at selected Hyundai 3S centres in Peninsula Malaysia from 7th December 2013. More information about the contest and roadshow is available on Hyundai Malaysia’s Facebook page and website (www.hyundai.com.my). 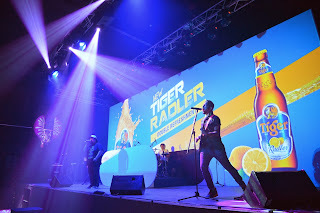 The all-new refreshing Tiger Radler launch with a whopping party which was held at KL Live earlier this month in December. Tiger Radler is an all-new variant of Tiger Beer that combines the crisp and easy-drinking taste of Tiger Beer with the zesty flavour of natural lemon juice to produce a beverage that is doubly refreshing. 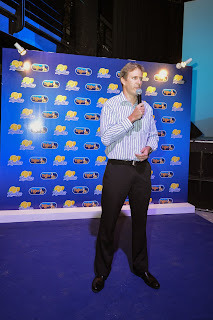 During the launch of the beverage, Bruce Dallas officiated it with an opening speech where he shares,"Radler has proven to be a resounding success in other markets all across the world right now, and is being introduced in Southeast Asia in both Malaysia and Singapore simultaneously. The launch of Tiger Radler in Malaysia is set to solidify Tiger Beer’s market leadership in Malaysia and represents yet another of the innovative ways that we keep the Tiger brand refreshing for our discerning drinkers across the country"
After a buffet dinner to satisfy the hungry attendees, entertainment in the form of comedians, bands and DJs took the stage to invigorate and exhilarate the audience.